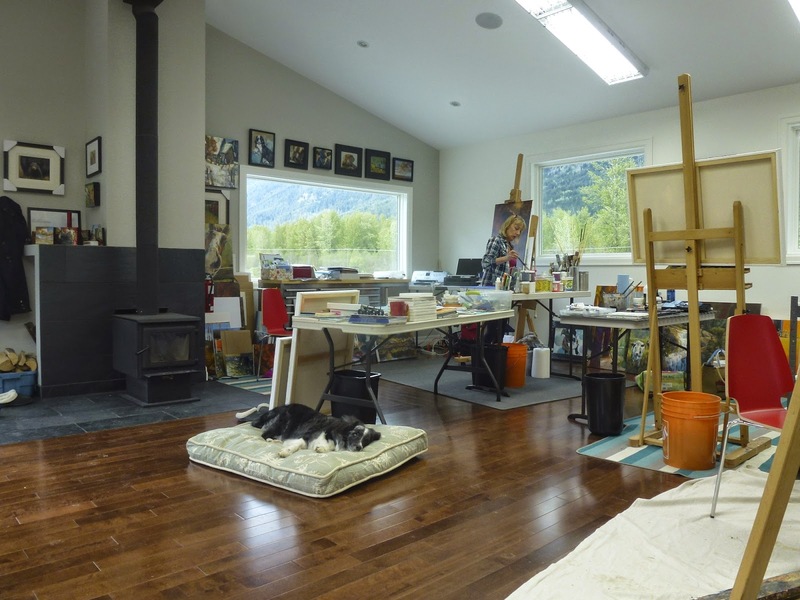 I spent the weekend painting with Susie and Andrea in Susie's magnificent studio in Pemberton. 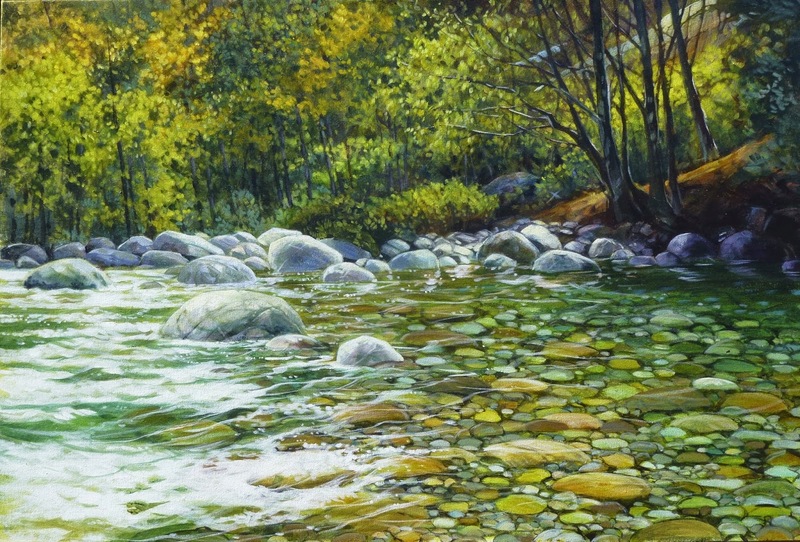 What a beautiful area- there will definitely be some Pemberton paintings coming up soon. Here we have Susie painting and Blue enjoying Susie's dog, Sophie's, bed. Painting with friends is one of my favourite things to do.Thanks to Susie and Andrea for great food, great company and lots of inspiration.